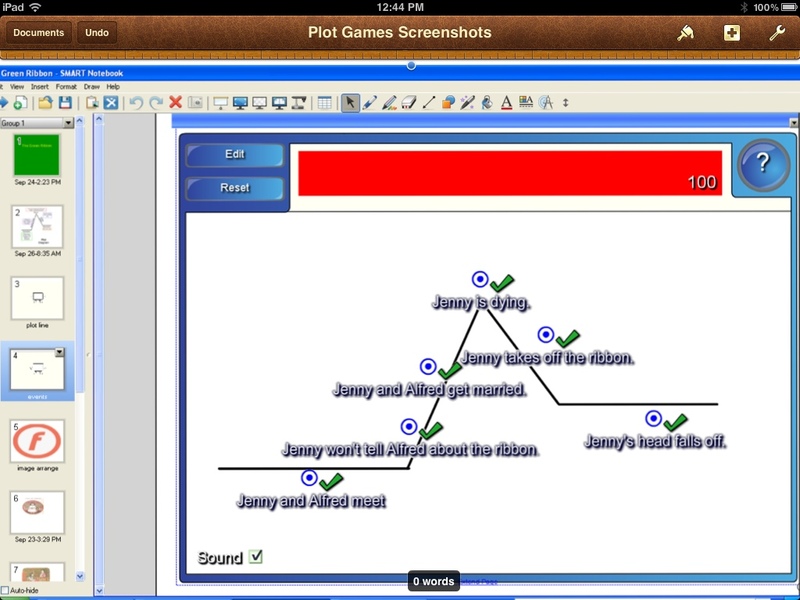 Teaching plot with the plot diagram and sequencing events are two activities we’ve focused on a lot lately. I was amazed how the activities surrounding one short story came together. We did these activities over the course of four days as part of our reading instruction for the week. First we read “The Green Ribbon” in our literature book. 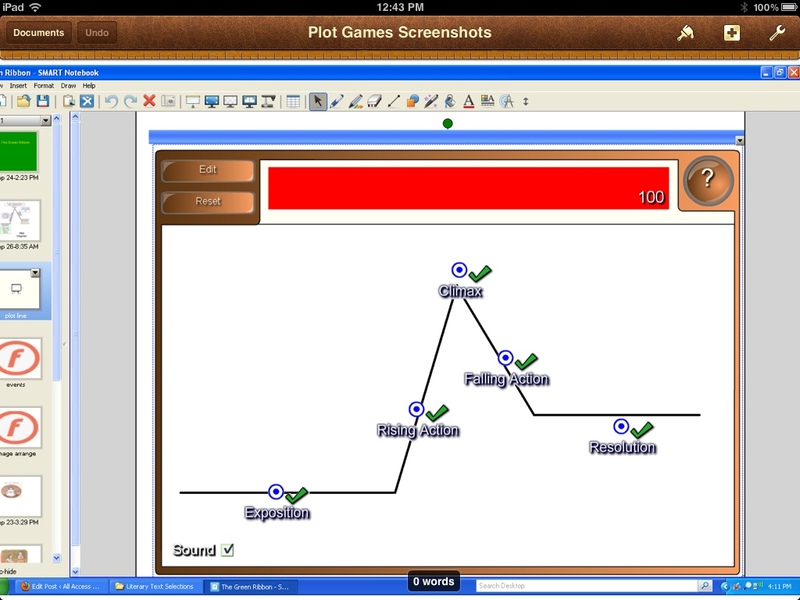 I went into SMART Notebook and used the Hot Spots tool to create two different but related activities surrounding plot. First, students had to place the labels for a plot diagram in the appropriate place. You can customize this tool by drawing your own graphics or pasting an image. I just drew this plot line with the line tool. 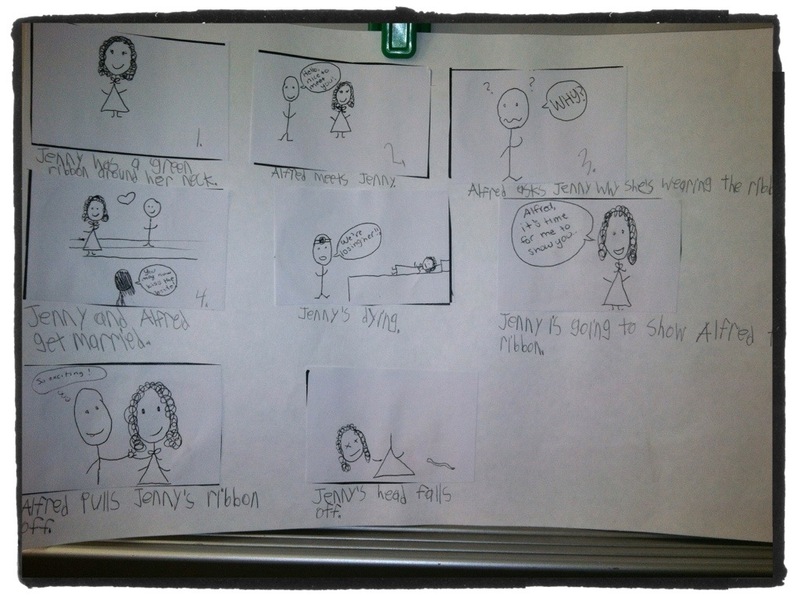 Next, students had to place the events of the story in the appropriate place on the plot diagram. This activity was very effective for teaching exposition, climax, and resolution. 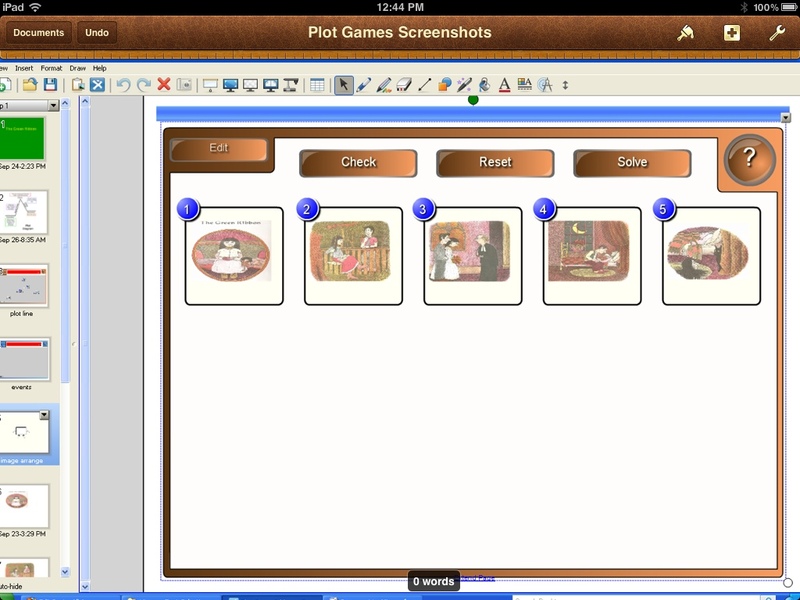 I also used SMART Notebook’s Image Arrange tool and the screen shot images of the video so students could sequence the major events. You can paste any images into this tool. These are the screen captures from YouTube. I wasn’t so sure about this last-but-not-least activity, but I am glad I gave it a try. It incorporated sequencing, summarizing, sentence writing, and speaking & listening. To prepare, I had Tweedle Dee draw 8 different pictures in cells like a comic strip (in random order). I asked her to keep the drawings simple and to reflect the main events of the story. Since she loves to draw and most of my students hate it, this was a win-win situation. In class, I gave a copy of the mixed-up comic strips to each student. They had to cut, sequence, and paste the cells in order. They then had to retell the story in their own words under each cell. I encouraged them to use their books for vocabulary and spelling. I thought this might be too juvenile or easy for my students but it was definitely challenging. Everyone’s story was slightly different in terms of wording. In fact, they did a little 4-3-2-1 sharing right before our comprehension quiz. Providing the pictures was a huge relief to many students. If they had asked, I would have let them draw their own. But no one did. This link highlights just 14 of the SMART Flash Activities in the Activity Toolkit. If you are new to SMART Notebook this is definitely worth checking out.